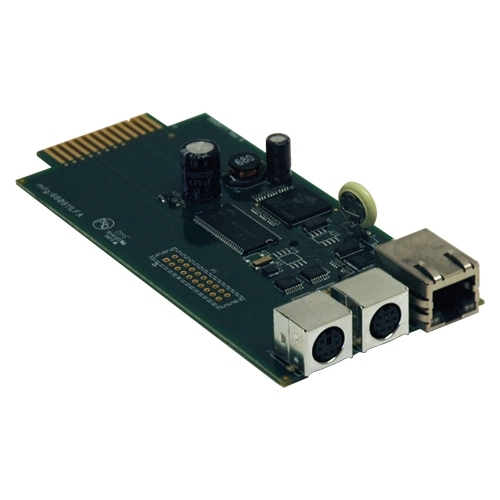 The SNMPWEBCARD turns a SmartPro or SmartOnline UPS with an expansion slot into a device you can manage on your network. By inserting the SNMPWEBCARD into the slot and using the SNMP network management platform, web browser, SSH or telnet, you can monitor and control the UPS and data in your server room, data center or network closet. Keep an eye on site electrical data, UPS self-test logs and logged power events, such as blackouts, brownouts and overvoltages. 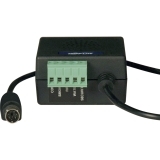 You can even remotely reboot locked network equipment without disrupting power to other devices when using the SNMPWEBCARD with controllable outlets or remotely switchable outlets available on select Tripp Lite UPS systems. You can also use the SNMPWEBCARD to copy the configuration of a networked UPS and transfer it to another device.Two-tier access allows two people to log into the web browser to monitor or control the UPS, while more than two can simultaneously view activity. If an electrical or UPS problem occurs on-site, you'll be notified immediately via email, SMS or SNMP trap. Real-time clock support maintains current day and date even after a UPS shutdown. NTP (Network Time Protocol) support enables automatic updates to the real-time clock from an NTP server. Multiple protocols are supported, including IPv6, HTTP, HTTPS, SMTP, SNMPv1, SNMPv2c, SNMPv3, Telnet, SSH, FTP, DHCP, BOOTP and SCP. DHCP/Manual configuration support enables network settings to be assigned automatically or manually. ALERT-Enable SNMPWEBCARD web interface in Google Chrome v42 (see "Go to Support Page" in the left navigation and click on "Software, Firmware & Drivers for instructions). Firmware v65 and v67 add Java 8 compatibility (click the "Firmware" button above to download). 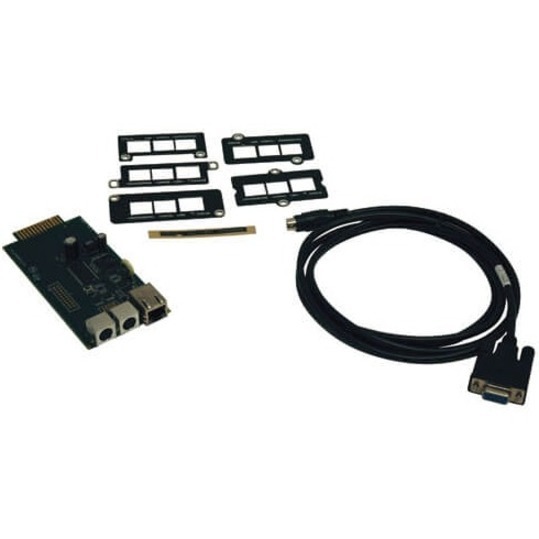 Ideal for the remote management and control of UPS and power data in LAN/WAN racks, computer rooms and datacenter environments. Tripp Lite's SNMPWEBCARD allows network users to operate any expansion slot equipped Tripp Lite SmartPro or SmartOnline UPS as a managed device on the network. Enables remote monitoring and control of UPS and site electrical conditions using SNMP network management platform or a web browser. 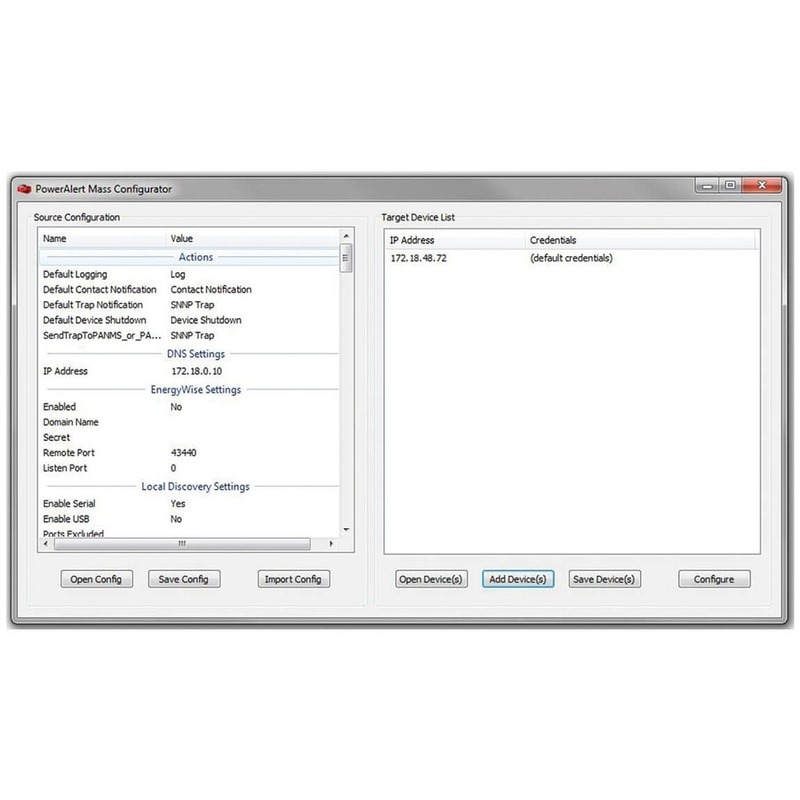 Provides remote viewing of site electrical data, UPS status information and self-test logs. 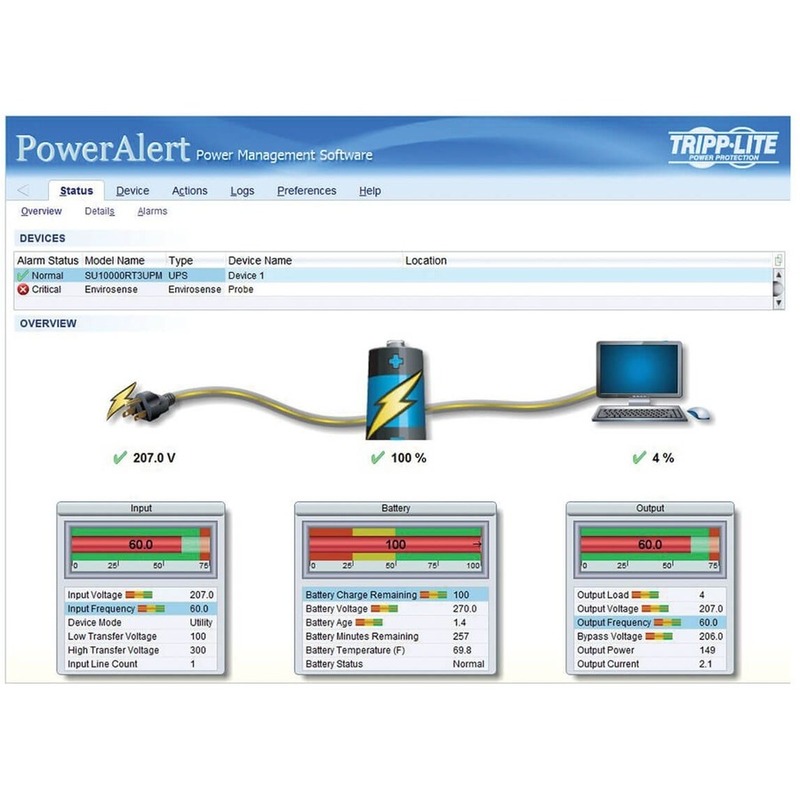 Supports selective rebooting of locked network equipment without disrupting power to other devices when used with Customized Load Management Receptacles available on select Tripp Lite UPS systems.